I almost feel like Mars has been taking care of me for all of these years. They are taking me to the police station. They are no doubt going to lock me up on a spurious pretext like the others. These big paydays are based on performance. 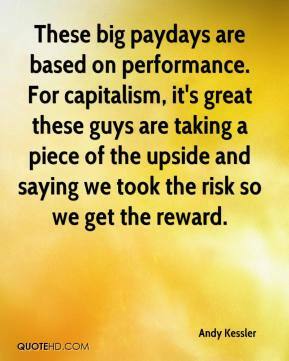 For capitalism, it's great these guys are taking a piece of the upside and saying we took the risk so we get the reward. 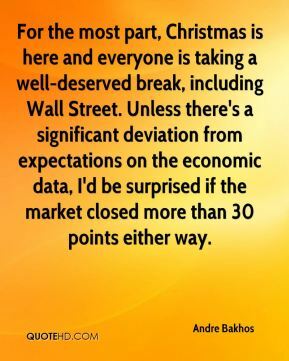 For the most part, Christmas is here and everyone is taking a well-deserved break, including Wall Street. Unless there's a significant deviation from expectations on the economic data, I'd be surprised if the market closed more than 30 points either way. 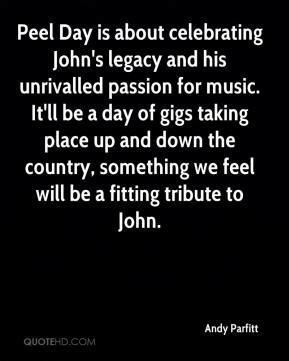 Peel Day is about celebrating John's legacy and his unrivalled passion for music. It'll be a day of gigs taking place up and down the country, something we feel will be a fitting tribute to John. It's great for those guys and they're taking advantage of it. It's a big head start for them. 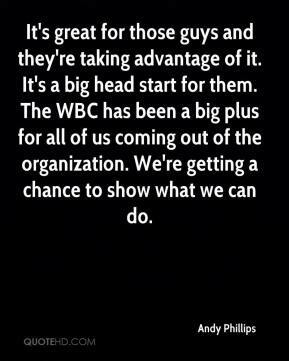 The WBC has been a big plus for all of us coming out of the organization. We're getting a chance to show what we can do. Robert called me and said, "I'm gonna be working with this guy Conan O'Brien who's taking over Letterman's show. 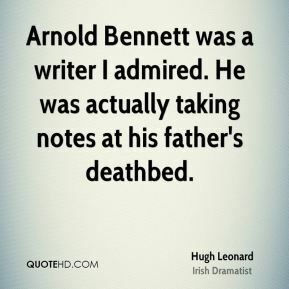 Do you wanna meet him, maybe get a job as a writer on the show?" And I said yeah, I'm tired of eating baloney. I had started to apply for day jobs, which up till that point I had been able to avoid for three years, you know, waiting on tables or whatever. 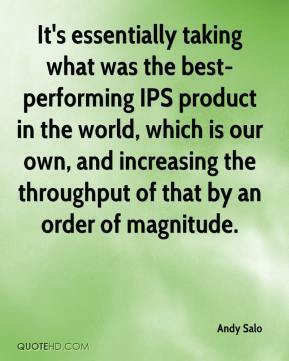 It's essentially taking what was the best-performing IPS product in the world, which is our own, and increasing the throughput of that by an order of magnitude. We have a special community that's worth taking care of. I was still taking piano lessons up until 18 months ago. If I had one thing I could add to my very full calendar, it would be that. 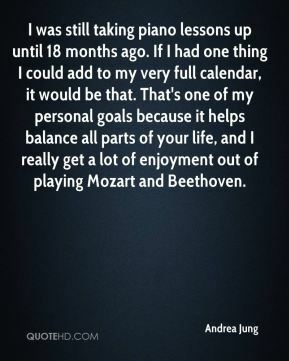 That's one of my personal goals because it helps balance all parts of your life, and I really get a lot of enjoyment out of playing Mozart and Beethoven. When you notice yourself not feeling challenges, not feeling energized, and watching the clock, start taking note. 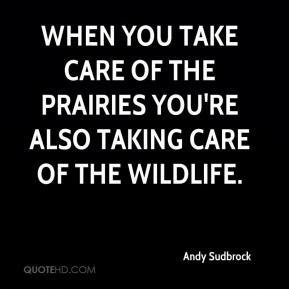 When you take care of the prairies you're also taking care of the wildlife. I feel terribly guilty. I'm not used to taking off time at all. We?re seeing an increase in the number of people taking and passing the exams. But we are still behind the nation in participation. We don?t give as many exams. We don?t have as many courses. We're happy because we're playing really, really well. We're creating and taking open shots and we're running the offense. We're expecting stocks to show another rise from last week's healthy levels. 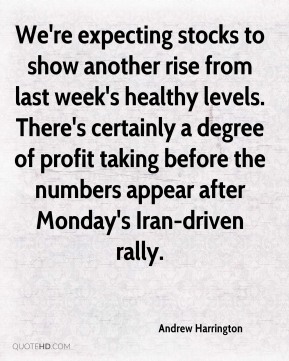 There's certainly a degree of profit taking before the numbers appear after Monday's Iran-driven rally. I get a lot of dirty looks on the freeway when I pass someone that's taking their sweet time and I'm only going 70. 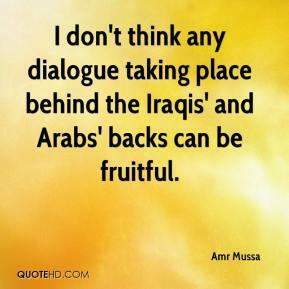 I don't think any dialogue taking place behind the Iraqis' and Arabs' backs can be fruitful. We'd like to ask you a couple questions about taking people's animals. 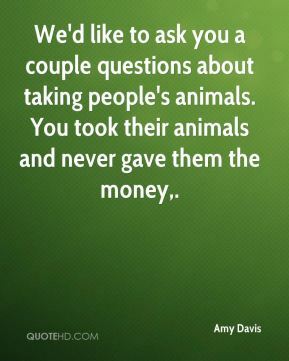 You took their animals and never gave them the money. Things didn't go our way. 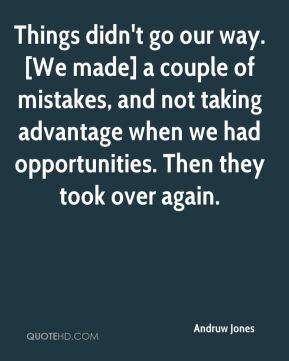 [We made] a couple of mistakes, and not taking advantage when we had opportunities. Then they took over again. 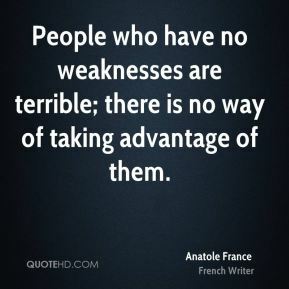 People who have no weaknesses are terrible; there is no way of taking advantage of them. 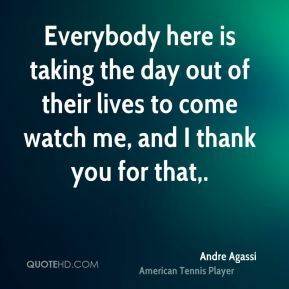 Everybody here is taking the day out of their lives to come watch me, and I thank you for that. It feels amazing, ... This is why you work so hard. These moments don't happen very often anymore. I'm taking it in, and it's feeling pretty good. 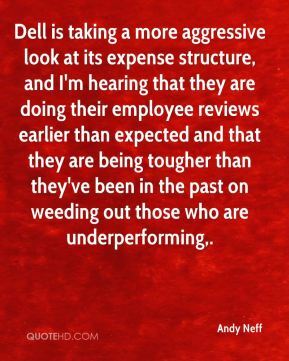 Dell is taking a more aggressive look at its expense structure, and I'm hearing that they are doing their employee reviews earlier than expected and that they are being tougher than they've been in the past on weeding out those who are underperforming.